One Small Step Leads to One Giant Leap! 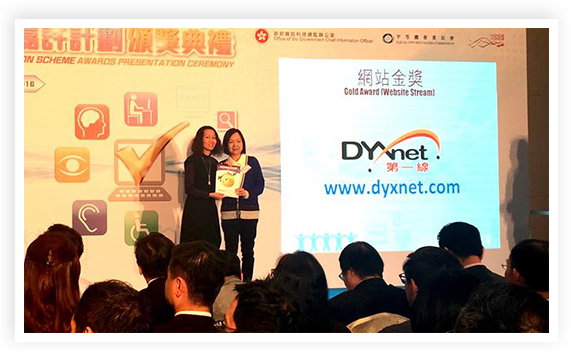 Congratulations to the DYXnet Group team behind our golden success in Hong Kong’s Web Accessibility Recognition Scheme! 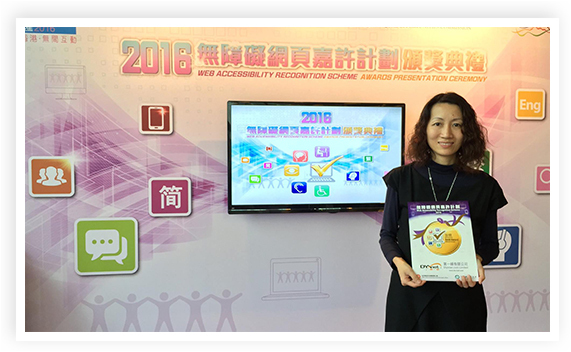 A stellar performance in conquering the obstacles to easy website access for disabled users has brought honour to our company. Organisations have been competing for this prestigious annual award since it was first established in 2012 by the Office of the Government Chief Information Officer in partnership with the Equal Opportunities Commission. 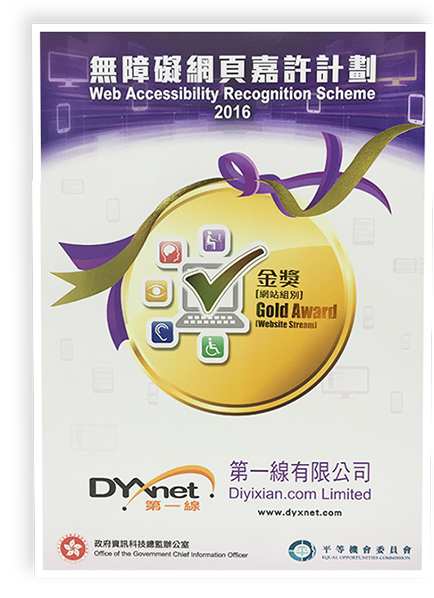 And this year it was DYXnet group that won the coveted Web Accessibility Recognition Scheme -- Gold Award. What we find so pleasing was the “determination to succeed” demonstrated by our team, which worked tirelessly to satisfy 24 judging criteria for the Gold Award. This illustrates a laser-like focus on continuous improvement because the team raised the bar on last year when around half that criteria had to be met for DYXnet to win silver status. Gold honours were conferred on DYXnet Group as well as other 118 participating companies in the Website Stream category of the award scheme. The accolade was received on behalf of the company by Floria Chan – Group Director of Marketing & Corporate Communications – at a special presentation Ceremony on April 19. The Web Accessibility Recognition Scheme recognises and rewards industry players that adopt thoughtful website designs to aid those challenged by disabilities such as impaired eyesight, dyslexia or epilepsy.